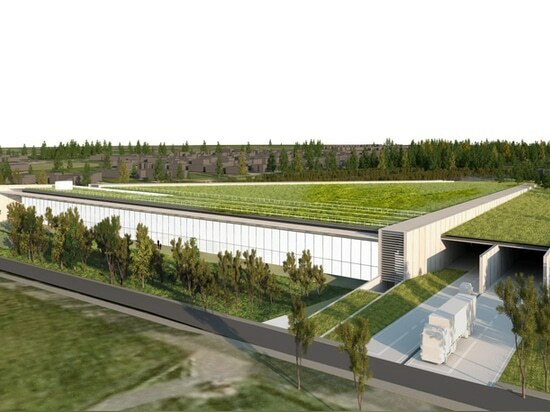 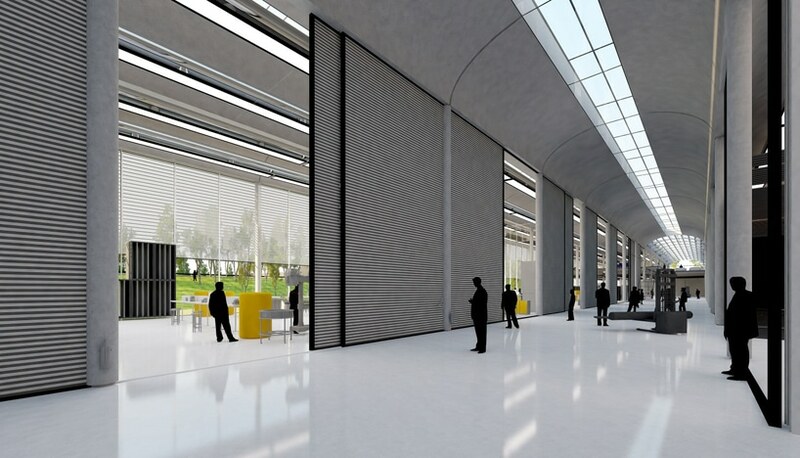 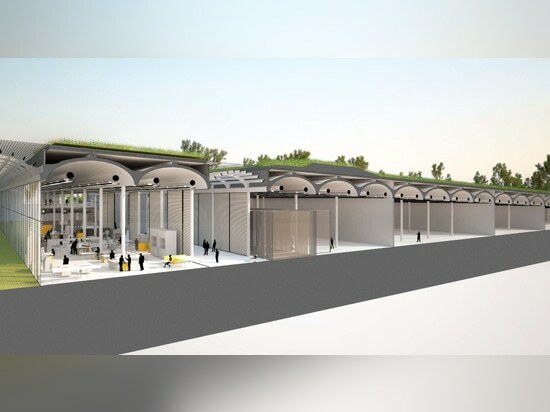 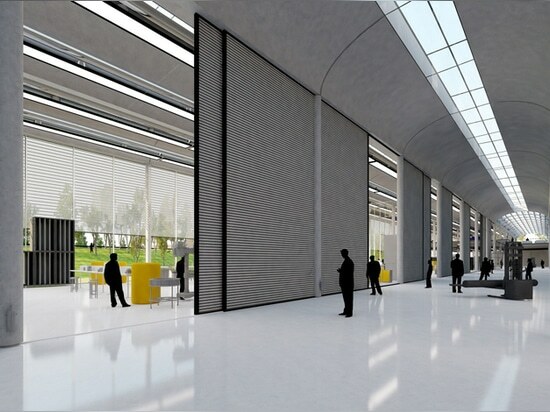 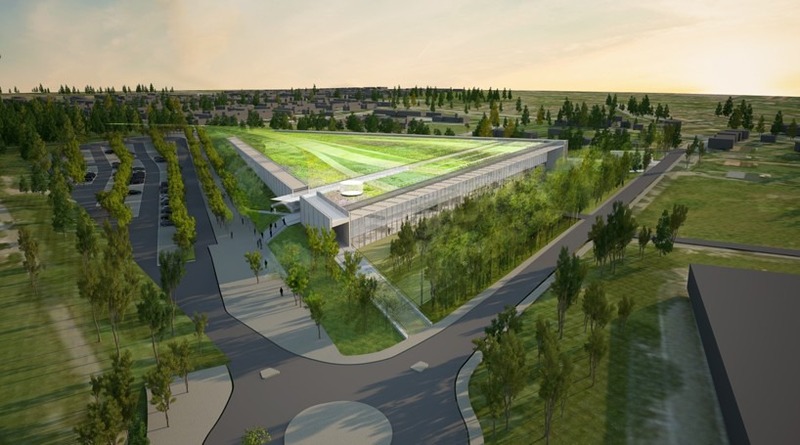 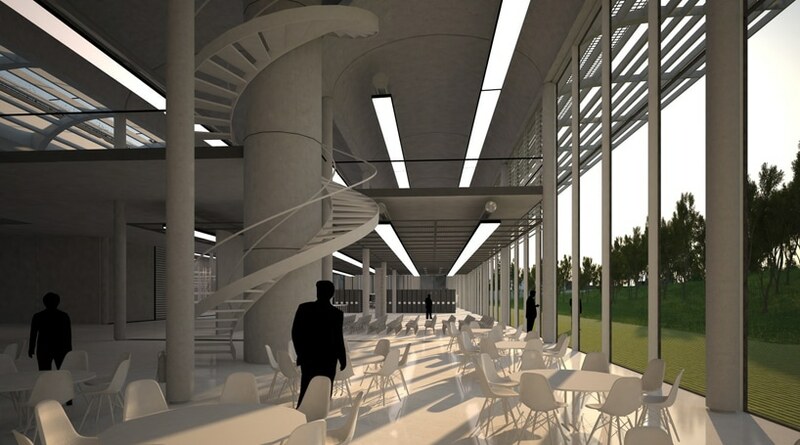 british firm rogers stirk harbour + partners has won the competition to design the conservation and storage facility for the musée du louvre in the nord-pas de calais region, northern france. 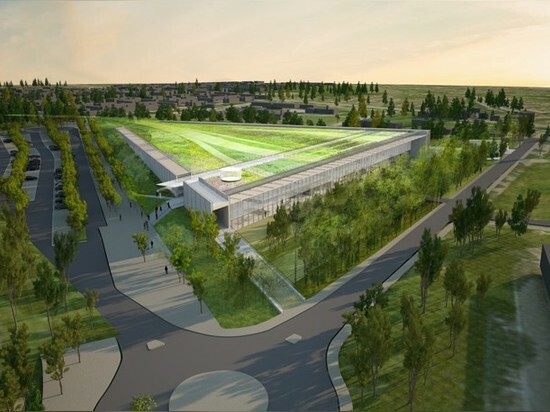 providing a discreet solution for the vast surface area, the new structure follows the natural contours of the site and features a slightly sloped roof which will be fully covered by vegetation. 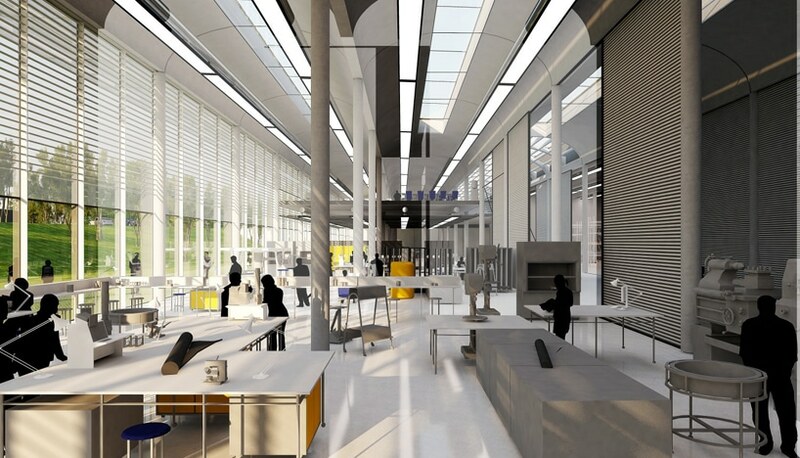 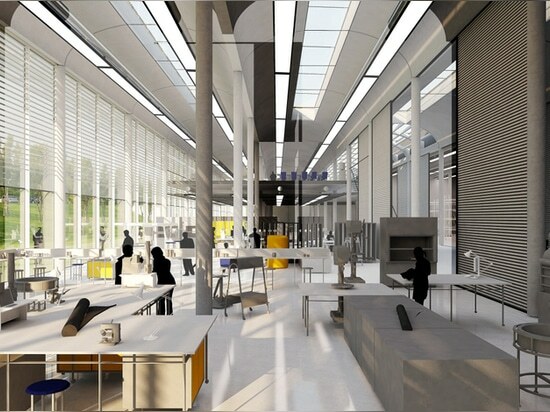 spacious and light-filled, the interiors are dedicated to art conservation and will eventually create a facility for research and study. 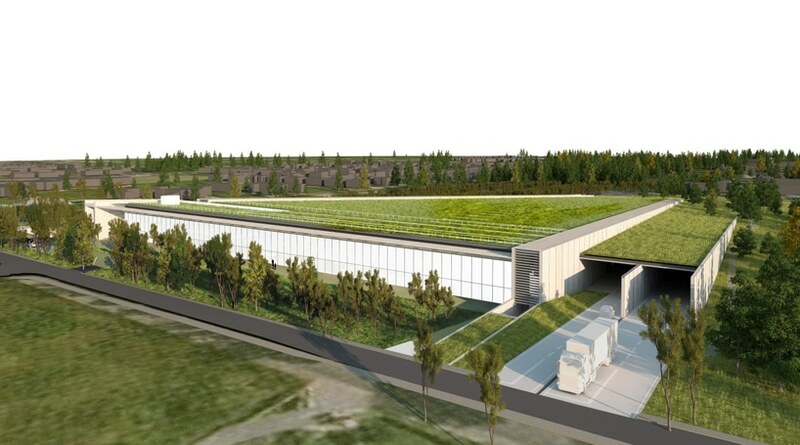 meanwhile, the space itself has to be adapted for the technology to supply the right climatic conditions for louvre’s precious collections-stored under one roof and protected from the risk of centennial flooding. 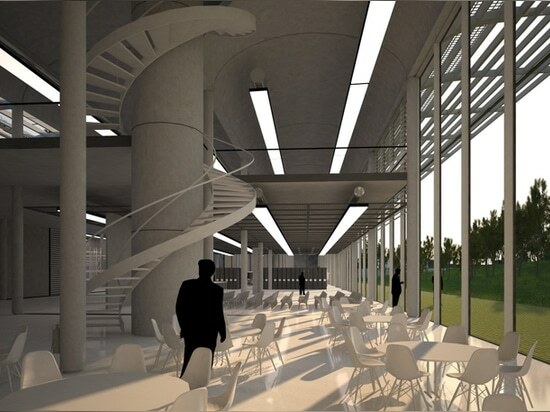 construction has been scheduled to begin in 2017, where the approximately 250,000 works of art belonging to the museum, will be transferred to the dedicated side once it is completed.